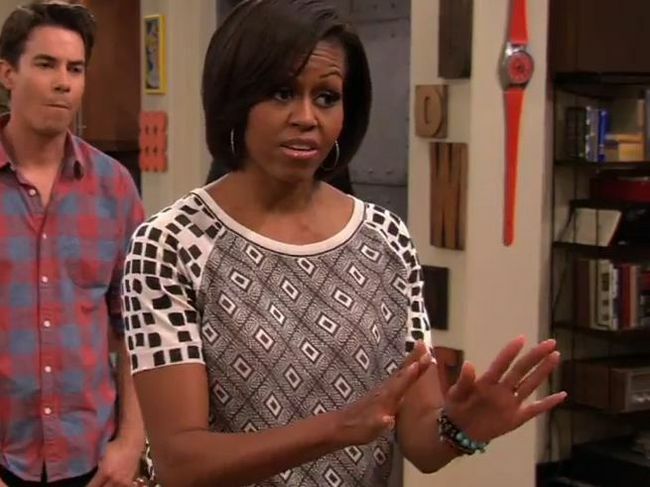 Michelle Obama Jokes: "I Kind Of Like" Being Called "Your Excellency"
First Lady Michelle Obama is to make a guest appearance on an upcoming episode of the popular Nickelodeon show iCarly. In the episode, which airs on January 16, the First Lady helps the show's title character Carly get in touch with her father, an Air Force colonel who can't make it home for his birthday. Obama surprises the girl and her friends, which leads to her being called "Your Excellency" by Carly's friend Sam Puckett. After being corrected by a friend that you don't call the First Lady that, Michelle Obama jumps in and says "No, no, I kind of like it."